A hardshell jacket for demanding touring in extreme conditions: the Women's Ortles 2 GTX Pro Jacket by Salewa! This jacket is the perfect choice for mountaineering, freeriding and ice climbing, thanks to its Gore-Tex Pro and its great cut. The fine fabric has sealed seams, making it not only waterproof, windproof and breathable, but also very robust and durable. This hardshell jacket ensures excellent weather protection at all times. 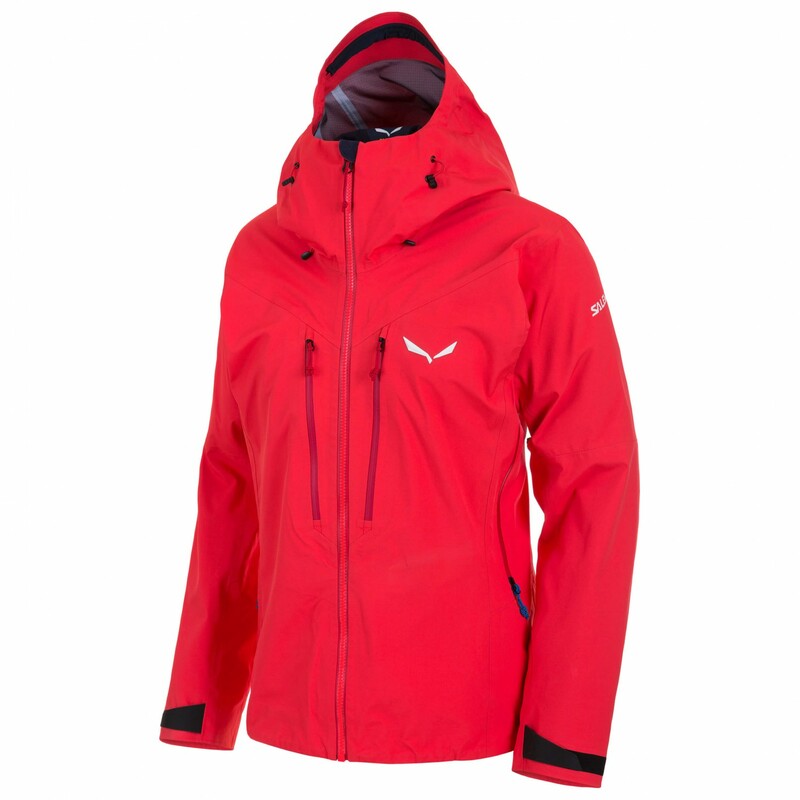 The Jacket is nicely cut and Salewa added a Free Motion sleeve construction. This makes sure the jacket does not slide up while climbing and everything is perfectly covert. The helmet-compatible hood can be individually adjusted, just like the cuffs. The zip has a storm flap to protect this vulnerable area against wind and rain. The Women's Ortles 2 GTX Pro Jacket also comes with enough pockets. It has two spacious breast pockets, one zip inside pocket and a separate inside pocket for your phone or GPS device, enough space to keep everything you need at hand.